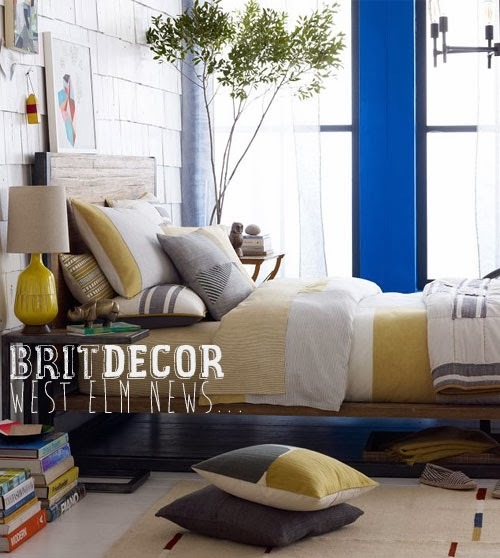 The Stateside home furnishings store, West Elm, newly based in the UK (hooray!) has this week launched an exciting collaborative range of beautiful handcrafted textiles and home-wares with esteemed fashion designer, Steven Alan. 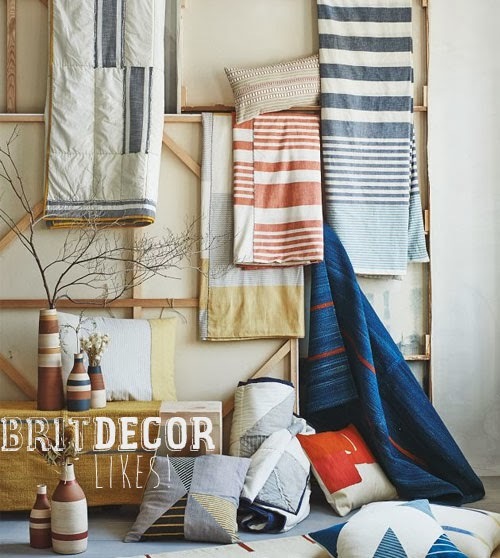 In the video, above, check out how Steven, along with West Elm's President, Jim Brett, took an amazing journey to India to seek out handcrafted and traditional methods for creating an authentic collection of inspired home-wares. As a result of his journey, Steven was able to produce hand-loomed and hand dyed fabrics - each one unique and beautiful! 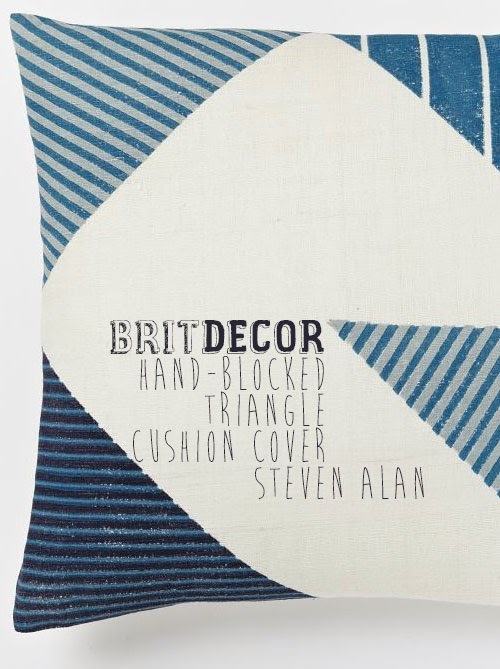 One of my favourites has to be the hand-blocked triangle pillow cover (see below) in midnight blue. The texture, colouring and slightly imperfect print is Brit Decor to a 'T'! However, it doesn't stop there, each of Steven's rugs are hand-woven by Indian artisans and then dyed using a traditional gabbeh technique, this beats mass-produced identical designs, right? Similarly, Steven's vases are individually made from locally mined clay and then thrown using a foot-powered wheel before being fired in a traditional pit. There's also the good ethics element to all of this as the vases, for example, are handmade by local Nicaraguan potters at a local artisan fair trade market called Chaka MarketBridge. 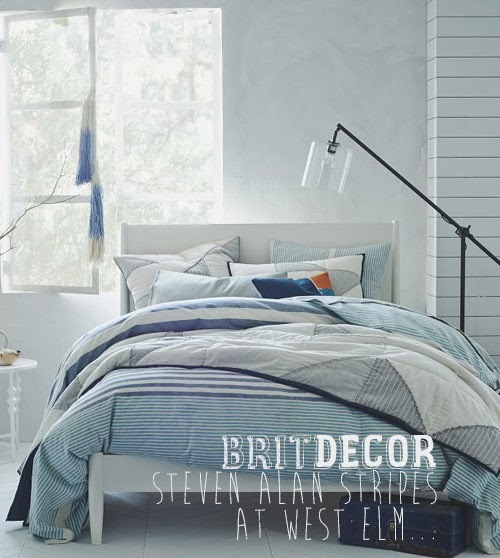 To visit the UK website for West Elm, click here or pop into their new store at Tottenham Court Road, London.